I thought that making these juggling balls would be a great way to coordinate a couple of different fabrics together. I just love finding an excuse to try out a set of different colour ways! I used templates from the oliver + s book "Little things to sew". 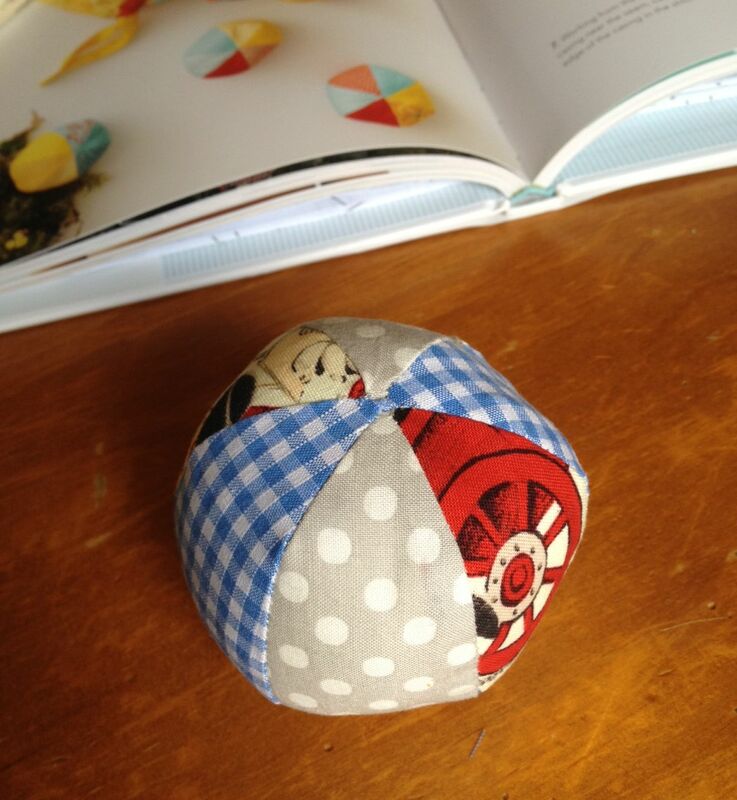 Its a fantastic book with lots of small sewing projects. The sections you have to cut are quite small so it was easy to find strips of scraps to use. It is very important to mark a dot for the top corners and to sew right up to this spot - that way you will get nice crisp joins - unlike me! Its surprisingly forgiving and the balls are just so darned cute. This project is a little fiddly and so far I've only made one.. so no juggling going on here just yet!